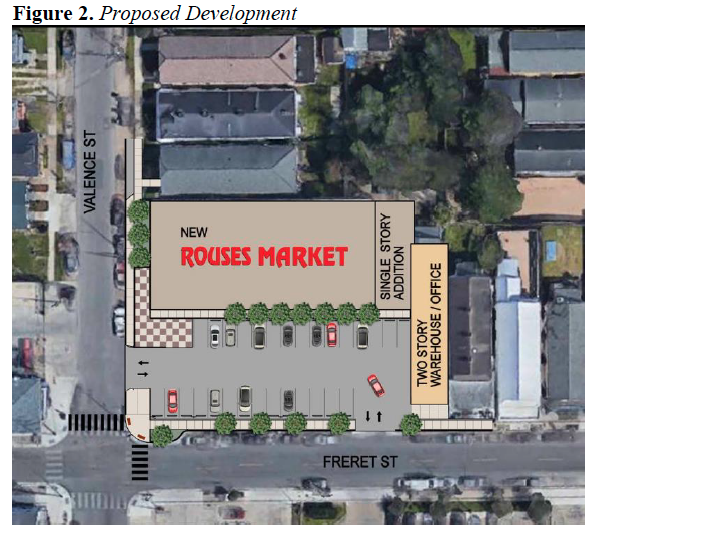 Freret area residents can expect to shop at a neighborhood Rouses Market in the spring of 2020, according to estimates from a Rouses spokeswoman. After easily clearing its major hurdles with the city, the Thibodaux-based supermarket chain is at least 10 weeks out from applying for a building permit, Marcy Nathan of Rouses Markets said. This timetable is in line with the company’s original estimates of an August 2019 start date for construction and a June 2020 opening. Rouses will convert the former Bloomin’ Deals Thrift Shop into a 10,000-square-foot supermarket. Although small for a supermarket — the Rouses on Tchoupitoulas Street is about 70,000 square feet — the company has promised to provide full amenities, such as fresh seafood and prepared foods, at the store. The council approved packaged-liquor sales at the store, along with the restrictions on signage, trash storage and deliveries and mandates on landscaping and public right-of-ways recommended by the City Planning Commission. 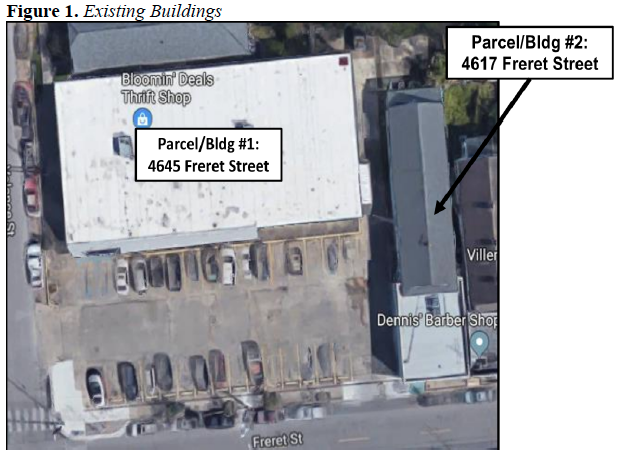 The company will add 1,500 square feet to the current 8,500-square-foot building at 4645 Freret St., connecting it to the neighboring building, to be used for storage, food processing and administration. That facility will also serve other stores, according to city documents. The current smaller building at 4617 Freret will be demolished and replaced with a two-story 5,000-square-foot warehouse, kitchen and office facility. Both the store and the warehouse and commissary will use the current parking lot space, which has about 30 spaces. Research by the staff of the Historic District Landmarks Commission indicates that the smaller building dates to the 1930s but was converted from a residential to a commercial structure at some point, probably in the 1950s. 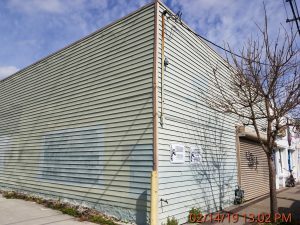 The demolition of the 4617 Freret building was approved by the HDLC and then the full City Council in March. The Junior League of New Orleans, which had been operating the thrift store at the site, sold both properties to SSJ Investments on Aug. 1, 2018. SSJ Investments, a commercial real estate developer based in New Orleans, has been working with Rouses on the project. The Freret Street store is not the Rouses’ first attempt at expanding its Uptown presence. It was among the top bidders on the Carrollton Courthouse when the Orleans Parish School Board auctioned it off two years ago, according to a 2017 report from WWL-TV.